DAVID LE/Staff photo. 3/31/15. 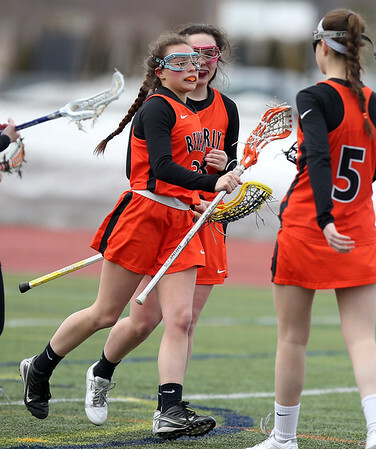 Beverly junior captain Alicia Cecchini (3) gets greeted by her teammates after scoring a first half goal.